The last job that I have for you is a Radio Producer. This is a very important job to me becuase radio is the reason why I got into communications. 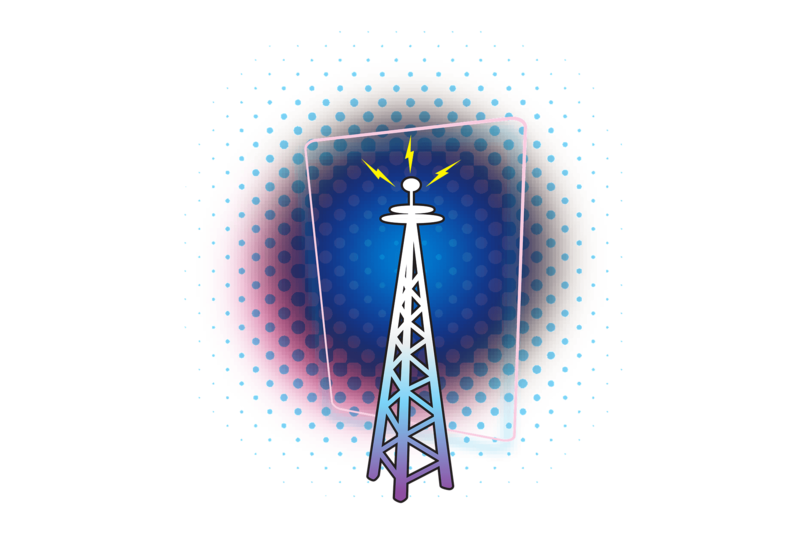 This job is for college graduates and people looking for a job in the radio business. The main responsibility of this job is s to handle the audio content of broadcasts, whether it is via radio, the Internet, and/or mobile platforms. 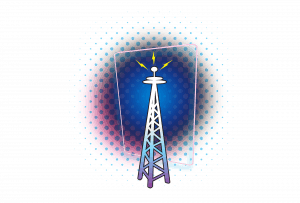 Leave a comment and let me know what you think of radio. A producer controls the radio console for talk shows and manage soundboards during live shows. They also have to create content, write scripts,charge with picking music. The producer makes sure content is in compliance with copyright laws. The average salary is 38,788 for a Radio Producer. If you like radio like me , then this is a job for you. As always leave a comment with questions or email. You can always find jobs for hiring on Indeed. Today I have another job that I will be discussing today. This job is for recent graduates or people looking for a job. The job is a Digital Media Specialist. This is a great job for people who love digital media. The main responsibility of this job is to, creating and managing digital-related projects for their organization. Helping with the branding of the organization, for new and old clients. The other job responsibilities are, that they are in charge of media campaigns for the organization. In this job you always have to create online ads, seasonal content, newsletters, and calendars. The average salary is 45,000 per year. Comment and let me know what you think of this job. If you are good with graphic design this could be a great job for. Always always leave a comment or email me with any questions you have. Remember to tell me what you think about this job. For my just graduated and people looking for a job, I have another job I think you guys will like. 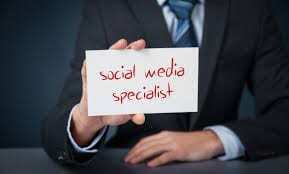 The job is a Social Media Specialist and this job has a lot of great things if you like social media. Most people do like social media. Leave me a comment and let me know the positive and negative side to social media. A person with this job responsibility is to develop marketing and customer care strategies through the use of social media. They usually run all of the company or organization social media accounts. They also help with crisis and negative news communication. . 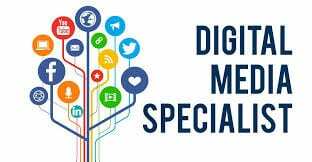 If this could be job for you look on Indeed in your city because they are always posting jobs hiring for Social Media Specialist. The average salary for this job is about 41,000 a year. As always leave a comment or email me with questions that you have. I have another job for you if you just graduated college or you looking for a job in the communication field. The job that I have for you today is a Media Supervisor. A person with this job main responsibility is to mange all media-related work within an organizations or company. They also develop media campaigns and marketing plans for the organization or company. If you like assignments and re asonability like that this job could be perfect for you. Another job responsibility is to analyze and report, the media assignments that the company or organization is doing. Leave a comment and tell me what do you think about this job. 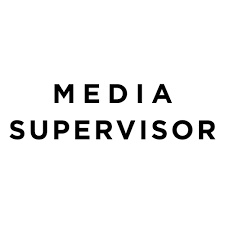 The annually salary for a Media Supervisor is about 70,796. This is a very important job because all organizations or company are producing media to help brand their organization. As always leave a comment or email me with questions that you have. So you just graduated and need a job let me know you find one. 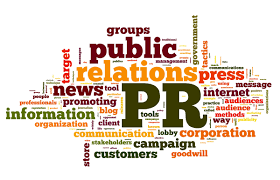 Public Relations are a great job in the field of communications and media. One of the main job responsibilities is managing reputation for your clients. You always help to create a bond between the organization and the public. Public Relations tries to draw positive attention to their clients through the use of social media. Social media plays a big part in this career, especially when social media is so important right now. There are tons of jobs you can have on the Public Relations field. You can be a manger, director, and specialist in the Public Relations field. You can go straight out of college and work in an entry-level position. The started salary for an entry-level position is 48,877.Go on Indeed or any other job websites and look for a Public Relations job, they are always hiring. Leave a comment or email me with your questions, also let me know what you think of my new blog post. So my series of blogs about script writing has final come to an end. You can always go back and look at old blog post that I have. Share old post and new post on your social media accounts if you want. My new series of post are going to about different jobs in the communications field. I want to inform people on how important communications jobs play a role in the world. I will give you everything you need to know abut the job and links to job post. Leave a comment or email me on what you think about the new series of blogs coming. The new blog post will start tomorrow, so be ready for it. As always leave a comment or email me with questions you have. 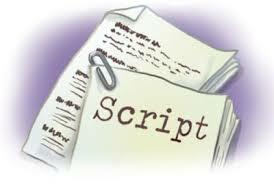 You should have finish editing you script and have an amazing script now that you can use. Maybe write a sequel or enter it in a concept for scriptwriting. Writing a script can be a very hard task and you just accomplish it.Leave a comment or email and let me what you think of the overall process of writing a script. If you any problems or what was the hardest part of writing let me know also. If you not afraid I want to you share your script with the other readers. So that people can share there scripts and see the other ideas that people had. The script series of this blog is over but there are going to be another series of blogs that will be posted. So stay tuned for me post to come. As always leave a comment or email with any questions that you have. By script is located on the portfolio page on this website, so take a look. So you should be finishing writing your denouement, the last part of the script that you have to write. I want to know how did it go writing your denouement so email me or leave a comment with your response. By this time you should already know what I am about to tell you that you should do. You should edit your entire script from the start to the end. This should not be that hard of you were editing your script after every part was done. By this time you should have finish your Rising Action. 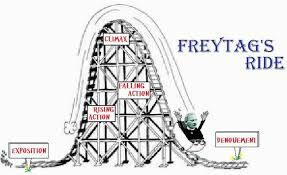 Now it’s time to work on the last party of Freytag pyramid, which is the denouement. 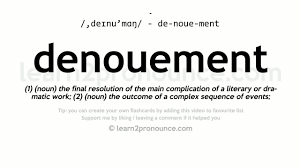 The denouement is defined as the final part of a play, movie, and narrative in which the strands of the plot are drawn together and matters are explained or resolved. When I wrote my script my denouement was that my character got a full ride to college because it took the sat and got a great score. Also my character made his brother proud because it’s what he told him he dreamed for him. The denouement is blackly the outcome and things that you want to inform your reader before the story is over. Think of the final outcome and what is important for the reader to know. That can help you write your denouement.You could maybe leave an ending that good lead into a sequel if you wanted it to write another script. Comment or email me telling me how it is writing your denounce and how it’s coming together. Always comment and email me with questions. Share my blog post on your social media if you want.